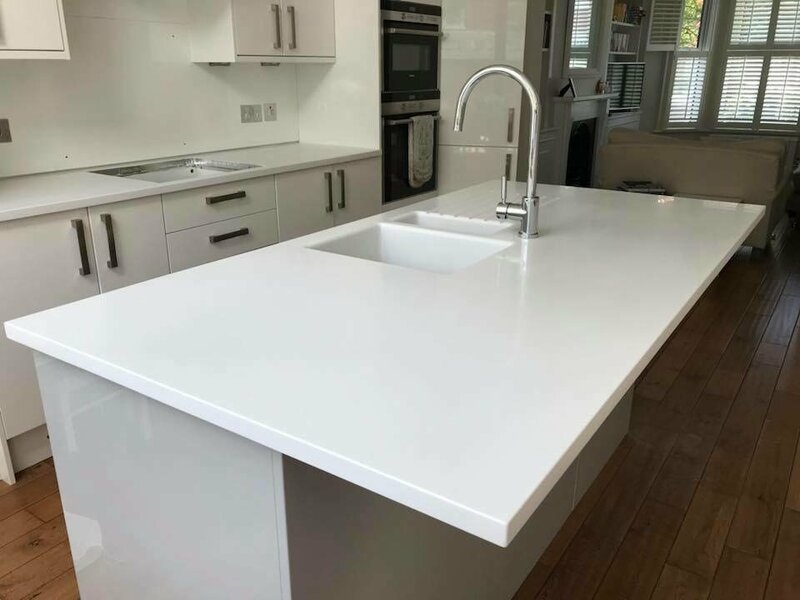 Our client Dan Ridler chose the stunning Light Ash Corian worksurfaces which were the icing on the cake for his kitchen. 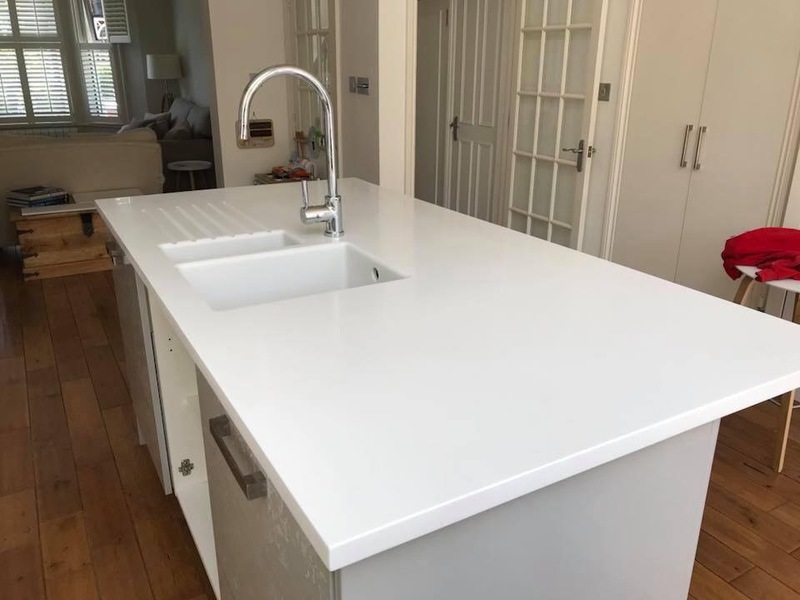 The client chose to have colour coordinating Corian ‘sparkle’ sinks with stainless steel bases and integral drainer grooves. The island doubles up as a breakfast bar area and has been strengthened with hidden steels to prevent any bowing.